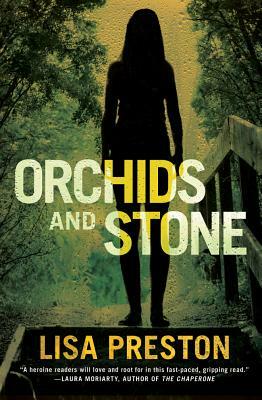 Orchids and Stone (Paperback) | Eagle Harbor Book Co. They're trying to take me. Help Help me, please. Daphne Mayfield sought a moment of quiet in a park--a break from city life, a tense relationship, and chronic overwork--but then an elderly woman makes a desperate plea. Daphne is reluctant to get involved when she's not sure what's happening, but she wants to help the stranger. Is the rambling old lady the victim of a crime or a victim of dementia? As her unease grows, Daphne can't let go of the encounter. No matter what her boyfriend or her friends say. No matter what the retired homicide detective warns. Though she knows she's meddling in other people's lives, her instincts scream that the danger is real. With each increasingly bold intervention, Daphne involves herself in someone else's crisis until she's in too deep to turn back. She's not just fighting for a stranger's life...she's fighting for her own.